ABCXXI - All of Poland Reads to Kids Foundation (until January 2006 known as "ABCXXI - Emotional Health Program") was established in December 1998 by Irena Kozminska, who now leads the organization as its President. The purpose of creating the Foundation was to support the emotional health of children and young people in Poland through educational, organizational and promotional activities as well as lobbying. The first important event organized by the Foundation was the international conference "How to Love a Child - New Discoveries in Psychology", which took place in Warsaw in May 1999. It was attended by the representatives of eight post-communist countries, as well as world-famous psychologists, psychiatrists and educators, and authors of international best-sellers, including Alice Miller, Mary Pipher, Nathaniel Branden, Ross Campbell, Linda and Richard Eyre, James Gilligan, among others. In September 2000, the Foundation started two educational programs in selected kindergartens and schools: "Childhood Lasts Forever" and "School with Character". Within the framework of these programs, parents and teachers could get acquainted with the basics of psychology and acquire skills necessary to build good relationships with children and create a favorable environment for their intellectual, moral and social development. On June 1, 2001, the Foundation initiated the national campaign "All of Poland Reads to Kids", aimed at raising awareness about the importance of daily reading to children. Scientists and practitioners claim that reading aloud to children teaches them language and thinking skills, develops their memory and imagination, provides knowledge and moral ideals, and strengthens their self-esteem. In June 2002, the Foundation organized the First National Week of Reading to Children, with active involvement of more than 150 villages, towns and cities. A year later, during the Second National Week of Reading to Children, the number of towns and villages participating grew to 300; in 2004 - to over 1,000; in 2006 to 1500, in 2010 to over 2500. In many regions of the country, National Weeks of Reading to Children have transformed into the most important cultural endeavors of the year, when artists, sportsmen, writers, journalists, policemen, firemen, pilots, miners, priests, politicians, visit kindergartens, schools and libraries throughout the country and read to children. Performances, exhibitions, competitions and parades of fairy tale figures are also traditional attractions of these events. A year later, in 2003, the Foundation started two new educational programs: ”Reading Schools” and ”Reading Kindergartens”, which aroused immediate interest. Three years after reading programs had been introduced in schools and kindergartens, professional research, conducted on the Foundation’s request by the Center of Evaluation proved that children who are read to every day, are intelectually and socially much better developed than their peers who are not read to regularly. Recommendations by the researchers were very strong – daily reading aloud to children and students should be introduced in every kindergarten and every school, junior high including. According to statistics compiled in March 2010, as many as 2228 schools and 2089 kindergartens in Poland, as well as a few Polish schools abroad have joined our programs. To reach the broader public, the Foundation produced five television advertisements (”Dad, can you read?”in 2001, ”Men’s conversations” in 2004, ”Do you have Harry Potter here?”in 2005, animated clips: ”A Family” in 2006, and ”Bookfrights” in 2008), 14 short films with celebrities reading to their own children (in 2003), 11 clips with soap opera actors reading to their soap opera children (in 2004), 8 clips with popular television presenters reading to children (in 2005), as well as recorded two music videos: ”Memories are here” with Natalia Kukulska in 2005 and ”All of Poland Reads to Kids” with very popular singers and actors: Maryla Rodowicz, Ewelina Flinta, Majka Jeżowska, Zbigniew Zamachowski, Piotr Fronczerwski, Mateusz Damięcki (in 2006). The production of new advertisements was connected with wide media campaigns on television, radio, and outdoor. In May 2004, the Foundation initiated a large-scale campaign in support of libraries. Almost 6,000 books have been sent to libraries through "The Marathon of Book Donors" internet mechanism and much more through donors' direct contact with selected libraries. The Foundation's lobbying in the government and Parliament, resulted in the decision to allocate 30 million zloty of the 2005 state budget for supporting libraries. Another large-scale reading-promotion action conducted by the Foundation in 2005 was called "Harry Potter for Libraries". 5,750 five-volume sets of these most popular children's books were donated to schools and public libraries. It was possible thanks to the generosity of the author, Joanne Rowling and the translator, Andrzej Polkowski, both of whom waived their fees, as well as the Media Rodzina Editing House, which gave up its profit and delivered all the books to the Provincial Libraries and Education Offices free of charge. To raise standards of the Polish literature for children, in 2006 the Foundation announced The First Astrid Lindgren Memorial Literary Competition for Contemporary Books for Children. More than 970 books were sent to the Competition. On April 23, 2007 (International Books’ Day), at the Royal Castle in Warsaw, the winners of the Astrid Lindgren Competition were awarded. All winning books were published within half a year to commemorate the 100th Anniversary of Astrid Lindgren Birthday. The Second Astrid Lindgren Memorial Literary Competition was announced in May 2009. The organizers received almost 600 books. The jury was composed of the famous author and university Professor, Joanna Papuzinska as its chairperson, the university Professor Grzegorz Leszczyński, representatives of three Publishing Houses which are to publish the awarded books, and the Foundation. Winners in three age categories (up to 6 years, 6-10 years, 10-14 years) were announced in June 2010 and for the first time the Grand Prix of the competition - a sculpture of Pippi Longstocking lifting a horse, made by the renowned sculptor Dorota Dziekiewicz-Pilich, was granted to Marcin Szczygielski for a novel called "Czarny Młyn" [The Black Mill]. An additional project which affected the children book market was a publication of a 23-volume collection ”All of Poland Reads to Kids” including outstanding but not obvious books for children. The collection started in November 2007 and subsequent books began to appear one by one weekly in press-selling places along with a leading Polish weekly ”Polityka”, our excellent partner in this endeavor. The first book of the collection embracing two Astrid Lindgren’s titles:Emil of Lönneberga and Lotta on Troublemaker Street, was added for free to the magazine in the amount of 250 000 volumes, whereas the last title of the collection, Astrid Lindgren's Ronja, appeared in May 2008. The number of all printed volumes of the collection exceeded 2 million. The Foundation is also conducting educational activity on a large scale. Since the year 2006, more than 35 educational conferences, as well as many workshops have been organized throughout the country for parents, teachers, journalists, psychologists, police, priests, politicians. Topics included emotional health issues, the importance of reading to children and teaching them values, raising boys, the media influence on children and other themes related to child upbringing. Moreover, in 2008 and 2009 in co-operation with the Academy of Social Psychology in Warsaw, the Foundation launched post-graduate studies for teachers: ”Reading as a Method of Development and Education”. The production of educational materials, mainly brochures, leaflets, calendars and bookmarks, is also an important part of the Foundation’s educational effort. In 2005, a film called ”Education by Reading” was recorded, two years later - another film: ”How to Love a Child?” was produced. In 2009, traditional lullabies were recorded by young Polish artists to enrich the educational film ”How to Love a Child?” and help parents stimulate their children both with reading and singing. In 2007, the Foundation’s authors, Irena Kozminska, President, and Elzbieta Olszewska, Program Director, published a book ”Guiding a Child into the World of Values”. Their new book ”Education by Reading” was published in August 2010. Our Foundation is very much concerned about developmental and educational difficulties of children from poor regions and underpriviledged environments. In 2007 and 2008, a co-operation started with a prison for mothers with young children, where within a framework of a joint project lectures and intense workshops were offered to prisoners on communication, solving problems, emotional health issues, the importance of reading etc. In 2009 another project was launched together with the European Fund for the Development of Polish Villages to help underpriviledged rural areas: over 330 schools, libraries and other cultural and educational institutions in poor regions in Poland, received free book collections ”All of Poland Reads to Kids”, educational films, books ”Guiding the Child into the World of Values” and other of the Foundation’s materials promoting reading to children and supporting their emotional health. In 2010, the Foundation designed another educational project “Generations – Creations”, which has the goal of bringing together children from orphanages and seniors from third age universities. Adults and children have to jointly prepare a concert, an art exhibition and a theatre performance. Reading aloud to children is a part of all stages of the project. Groups of co-operating youngsters and seniors were formed in four Polish cities. Educational elements are also being incorporated into the program of the yearly Grand Finale of the campaign "All of Poland Reads to Kids". 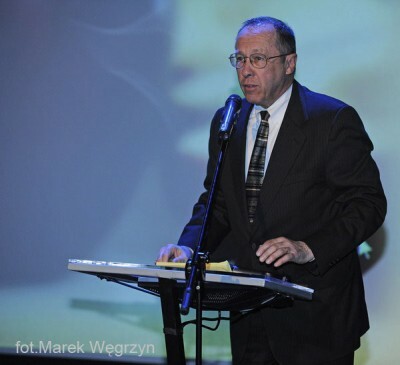 In 2008, the Foundation invited Jim Trealese, an American guru on reading to children, to deliver a lecture at the Foundation’s Gala, as well as in Cracow and Torun. Mr. Trelease also participated in a large -scale reading event held in a historical Salt Mine in Wieliczka, a UNESCO site, attended by approx. 600 children. Other speakers at the Grand Finales were: Prof. Andrzej Zoll, a former Polish Ombudsman, and Supernanny, Dorota Zawadzka, both talking about the importance of reading to children. In 2011-2012 the Foundation celebrated the 10-year jubilee of the campaign "All of Poland Reads to Kids". Its celebration was inaugurated at the First International Week of Reading to Children held in a borderline town of Cieszyn (southern Poland) on June 1, 2011 which was at the same time a launching event of the "All of Europe Reads to Kids" programme. Other jubilee projects included: the Jubilee 10th Finale of the campaign "All of Poland Reads to Kids", the conference "Wise Education", the 3rd edition of the "Generations-Creations" project, the project “Reading in Prison. Book as a Bridge to a Life without Bars". the title of the Non-governmental Organization of the 2010 awarded during the 21st Economic Forum in Krynica in 2011.